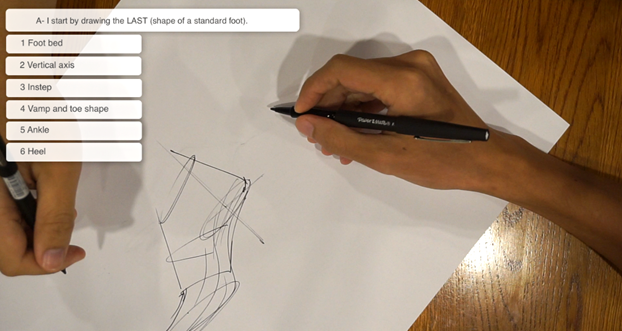 I made this video during the shoe design workshop I gave to my friends. You will see step by step how I draw a sneaker. 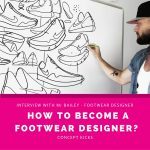 You will also get an introduction to the basic vocabulary of shoe design. A- Start by drawing a last. When I first started to draw sneakers, I didn’t have any method. I tried to draw directly the sneaker’s design. That was a mistake that drive me crazy for months. Among 10 designs, 8 came out clumsy. The proportion was often wrong. 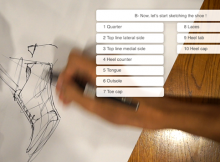 And if “Mister proportion” is wrong,the design won’t appear nice. 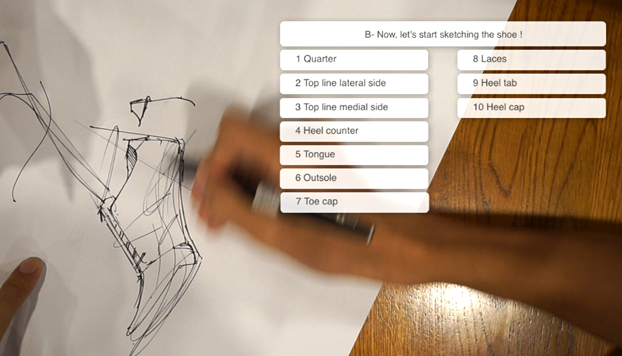 Ater a while, I came out with this method: before drawing a shoe, start by drawing a last (TIP11). For a little reminder, the last is a shape of a standard foot that a shoemaker use to make a shoe. It takes a bit more time of preparation. However, among 10 design, you may succeed 8 ;). 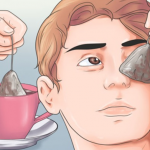 At the end you will save much more time and won’t get too much white hair. Why ? Because as soon as you have your last, your brain can fully focus on the creation of your design instead of thinking about proportion. Again, train at drawing well a last BEFORE drawing well a shoe. Ok ? For the video, PRESS HD ! in Fashion design: Before drawing clothes, you first start drawing a model silouhette. in Interior Architecture: Before drawing the furnitures, you draw the walls first. This is how beginners HAVE TO start in order to correct MOST of there proportion problem. Drop me a message and I will plan more tutorials (type of shoes, heel height, side views…). Hey Chou . good article . 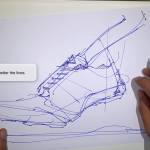 but I would love a tutorial regarding different views of sketching shoes.